Part of the joy of cinema comes through the constant rediscovery of its past - films which we revisit, reappraise and find joy in once more. Indochine, the multiple-award winning movie which found a new audience in the Cannes Classics strand at this year's festival, is one such film. Having won an Oscar, a Golden Globe and five Cesar trophies upon its release in 1992, Regis Wagnier's legendary French drama comes to DVD, BD and EST in its fully restored version for the very first time on January 2nd 2017. I'm absolutely delighted to announce, then, the opportunity for two readers of this site to win their own DVD copy of Indochine - to find out how, please scroll to the bottom of this post. First, however, for those of you who are not familiar with the movie, keep on reading to find out more. 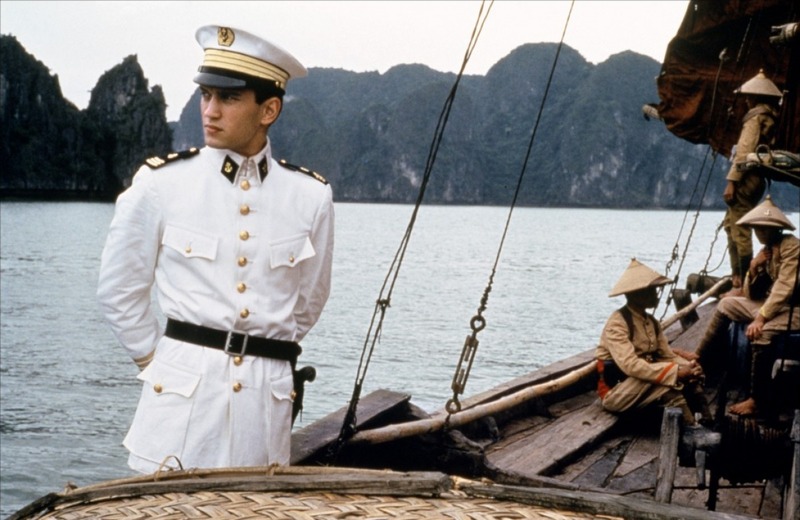 The movie, starring Catherine Deneuve, Vincent Perez, Jean Yanne and Linh Dan Pham, takes place in 1930, set at the tail-end of France's colonial rule of Indochina. Deneuve plays a French widow who raises a Vietnamese princess (Pham) as if she were her own - their relationship, however, is forever transformed with the arrival of a young naval officer whom both fall in love with. Against the backdrops of a nationalist revolt by the people of Indochina, what will be the fate of our heroines and their would-be lover? The critically acclaimed epic, re-released on its 25th anniversary year, also comes replete with a 52 minute documentary about the movie which explains the historical context of the story plus includes interviews with key cast and crew who reflect on the feature. To enter the competition to win one of two copies of Indochine on DVD, simply log-in to the Rafflecopter form below with your name and email address - we promise not to share, or pass on, this data to any third parties but will use this information to contact you if your entry is successful. Alternatively, or as an addition, please leave the name of your favourite European movie in the comments. Whether it is Amelie, Cinema Paradiso, Eyes Without a Face, A Lizard in a Woman's Skin, M, Populaire or any other you can think of, I'd love to hear your answer..
Once you've done this, you can confirm you've left a comment using the Rafflecopter form (by clicking the "Leave a Blog Post" option and then selecting the "I commented" box). The winners are selected at random through Rafflecopter and will be chosen on January 1st 2017 and contacted shortly thereafter. The prizes will be sent out upon confirmation of your win. There are no cash alternatives and entries can be disqualified at the judge's discretion. Entrants must be 15 or over and have a UK shipping address to enter. Maximum of two entries per person - one comment, one Twitter follow each. Zazie Dans La Metro - an old French film, it's hilarious! I have a few but I could watch Jeux d'enfants over and over! The Red Balloon is my favourite! Oh that's a hard one.. but I loved The Diving Bell and the Butterfly.